Knowing your baseline heart rate can help you evaluate and monitor your cardiovascular health. According to the National Emergency Medical Association, factors such as emotional state, body temperature, stress and activity levels can affect heart rate. For these reasons, the American Heart Association recommends checking your heart rate by taking your pulse in the morning right after awakening. This measure, known as your resting heart rate, will let you determine a "baseline" heart rate to use when assessing your heart health and calculating your target and maximum heart rates during exercise. Place the tips of two or three fingers gently against the underside of your opposite wrist. An ideal spot is just below the wrist joint on the side closest to your thumb. Press gently and move your fingertips carefully until you can feel the blood flowing in the vessels beneath your skin. Count the number of beats, or pulses, you feel during 10 seconds. Use a watch or clock that measures seconds to ensure the timing of your count is accurate. Multiply the number of beats you counted by six. This is your resting pulse, or baseline heart rate, which is measured in beats per minute. If you have trouble feeling your pulse in your wrist, you can place two fingertips gently against the side of your throat to feel for the blood vessels in your neck. For a more accurate measurement, consider checking your pulse two or three times and averaging the results. 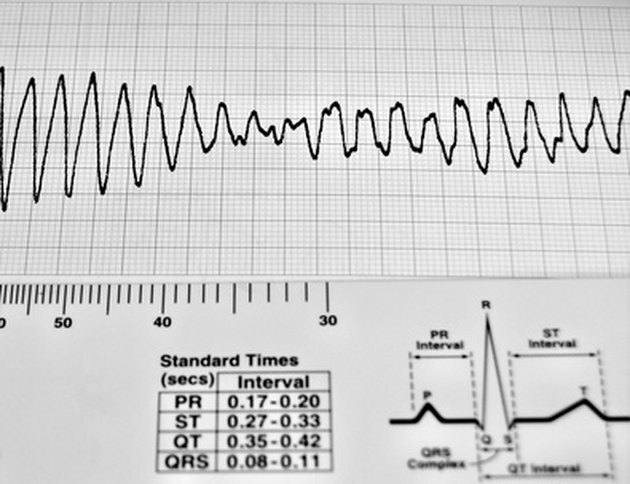 Another option for this calculation is to count the number of heartbeats in six seconds and multiply the result by 10. If you do so, be sure to check your pulse several times for a more accurate measurement. According to the National Emergency Medical Association, a resting heart rate of 60 to 100 beats per minute is considered normal for most adults, while athletes may have a heart rate as low as 40 to 60 beats per minute. If your baseline heart rate falls outside this range or is close to doing so, consult a physician as soon as possible to assess your cardiovascular health.